So Many Assassins, But Only One Will Survive the Cosplay Chaos! Since debuting in 2007, Assassin's Creed has quickly become a fan favorite. The game not only spawned sequels, but slightly tweaked outfits for its assassins. And boy, do those assassin threads look fantastic! Whether it's Altaïr, Ezio, Connor, or any members of the Brotherhood, these assassins cut a striking figure with their iconic hoods and weapons. No wonder fans have taken to the series. 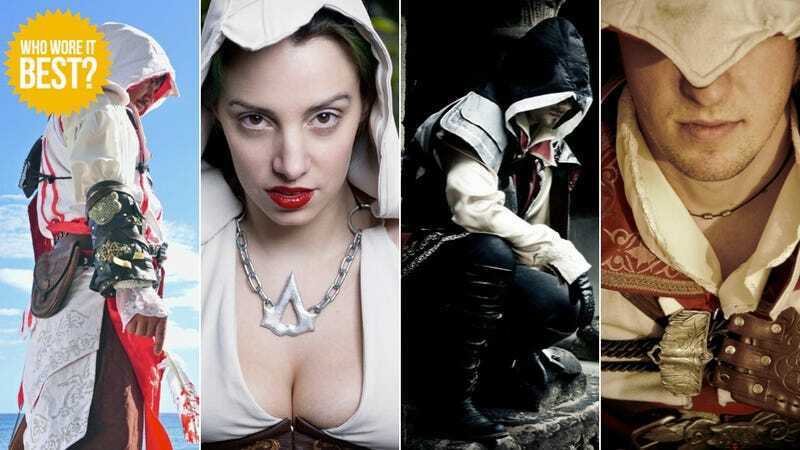 In the above gallery, there's a sampling of Assassin's Creed cosplay, whether its from the main games or spin-offs, as well as assassin outfits that have been inspired by AC. But who pulled off the best assassin? Have a look and see for yourself. Click in the lower corner to expand each image to full size.